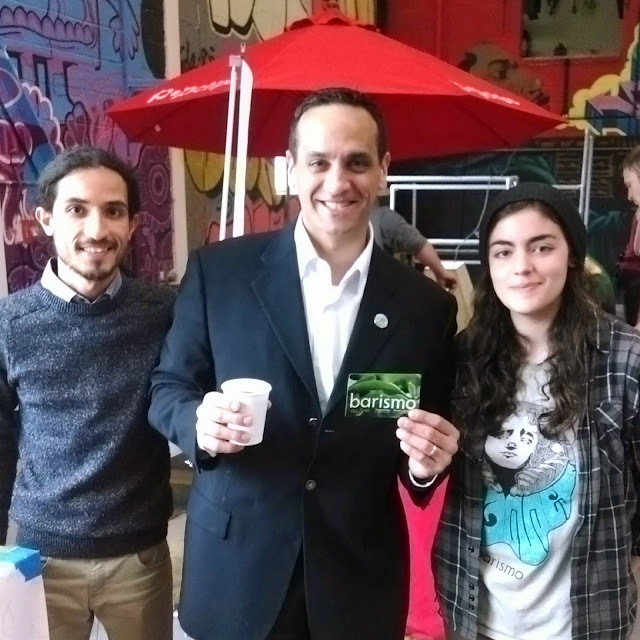 Evaluating for Quality: Jaime VanSchyndel gives you a bit of info on barismo's new Somerville location at Aeronaut Launch, as well as some of our hopes and goals for the new neighbourhood. Stay tuned for more updates and opportunities to see the new space! Our new location in Somerville has a few serious advantages for us. Sure, the loading dock is nice and the bigger roasting capacity is great, but the more obvious benefits are geographic. 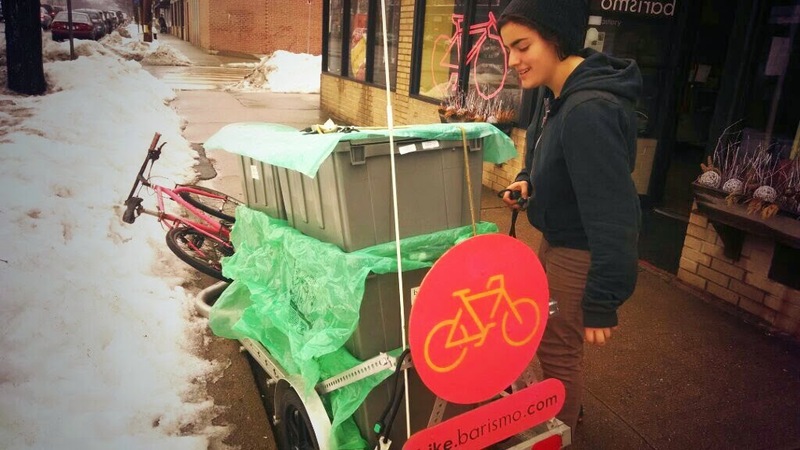 Our bike.barismo.com cargo bike is now in the heart of Camberville and can more easily reach all our existing local clients. It will be shorter rides with a lot more coffee, employing local while keeping our carbon footprint down. The packaging as well will be free of cardboard boxes so we'll emphasize reduce and reuse. We are also toying with the idea of picking up grounds on the deliveries for our cafes to bring back for CSA farms to use (an idea that needs some refinement but has potential). In our new space, we are dedicating a training area for espresso and brew methods. With the intensive barista training program we have been implementing the last few months for employees and accounts, we hope to build the best training program for coffee in the area. It may already have a leg up as the only locally owned and operated coffee training center in Somerville/Cambridge but we want it to be a resume builder for baristas as well. Being next to BKBS and Artisans means we will be doing a lot of collaborations. Members of Artisans did the refurb and paint job on our new roasting equipment and you'll start seeing us at events such as this past weekends TEDxSomerville in Brooklyn Boulders (also simulcast at Clypd where we had a gs3 espresso machine setup). Stay Fresh Updates:Events, classes and education, new coffees, and much more. Sign up for updates here! We have a ton of events coming up as you can see, remember to follow us on twitter as well for up to the minute info. "A barista will explain grinding, tamping, and more, then watch as you pull shot after shot. Like an espresso coach, he’ll give you pointers on everything from your mouse tails to your brew’s hue. Small classes are taught monthly on Sunday nights" - from a recent Boston Globe article featuring barismo's Espresso 101 class. Sign up Here! Lucy Valena of Voltage Coffee & Art in Kendall Square will be sharing a bit about her time visiting producers in Guatemala with barismo. Join us for an evening of stories!